Visual Studio Code>Other>Pubspec Dependency SearchNew to Visual Studio Code? Get it now. 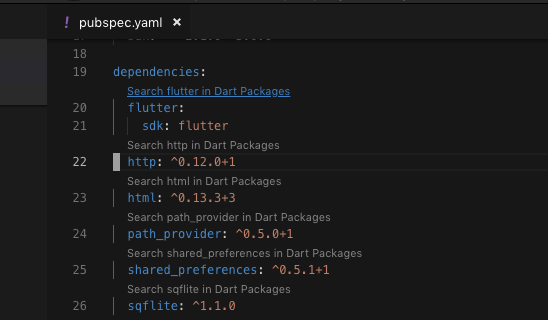 VSCode extension for flutter developer to easy search package in web browser. Search package name by click in pubspec.yaml file. Search in dart packages site by input package name.